Temper tantrums can be difficult to deal with for everyone involved. Many times children are told to “Stop crying,” or “You’re okay,” when they are not okay. Adults tend to simply want these big emotions to stop, which is very understandable. It can feel extremely uncomfortable to be around anyone who is in a not-so-great mood. Therefore it is important for caregivers in an early childhood classroom to help children by supporting and teaching them about emotions, especially the not-so-fun ones. It’s important for caregivers to help children by supporting and teaching them about emotions, especially the not-so-fun ones! Be compassionate and be there for the child. Let the child know that you understand that they are upset and that you want to help them. We have all been frustrated and angry enough that we want to scream, grit our teeth, or maybe even throw something across the room. As adults, we sometimes still have a hard time dealing with disappointment or staying calm when something isn’t going our way. Why would we expect children to be so? Validate their feelings. Let them know you understand. “It is really hard to wait your turn. The sensory table is a lot of fun. Would you like to ____ while you wait?” Pick a toy or activity that the child likes to do. Help them learn how to express themselves. It is easy to sit back as a child expresses emotions such as happiness, excitement, and contentment. It is harder when they are feeling irritated, sad, and just plain mad! 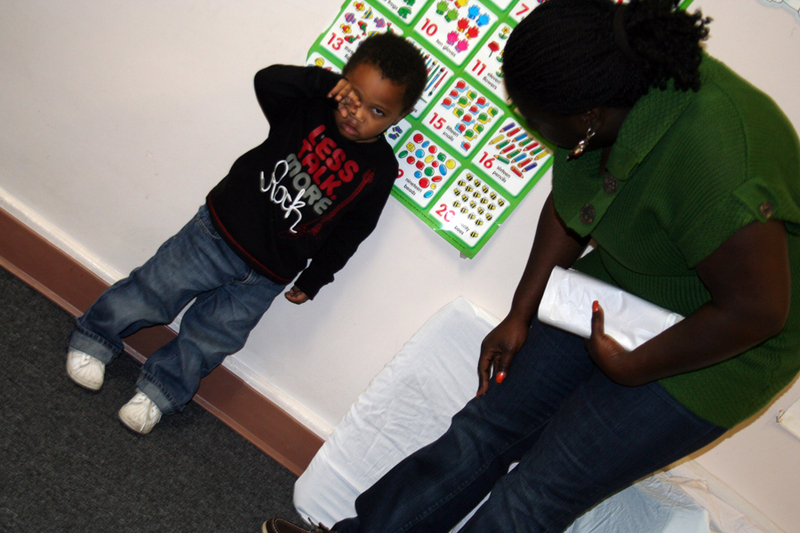 How can you help children safely express their “negative” emotions? What can they say or do to deal with these big feelings? When they are happy, children laugh. We do not stop them from laughing. It is okay for a child to cry when they are sad. When they are excited, children may jump up and down. How can we make it okay for a child to safely throw something when they are angry? How can we help them feel successful no matter what they may be feeling? Let it be. Realize that you do not have to stop the temper tantrum. Sometimes children just need time. When children know they are in a safe, loving environment, they will learn how to calm down. They will know that you will be there for them. This is when the real magic will happen. Young children feel all the same emotions that adults feel but they do not know what those emotions are actually called. They don’t know how to say “I am angry” or “I am getting frustrated!” They feel the emotion but it is up to adults to teach them about feelings and emotions and what is socially acceptable. We all feel emotions, whether they are “positive or negative,” and it is how we deal with those emotions that help us to be socially successful. After all, who doesn’t want children to be successful? This entry was posted in Best Practice and tagged Emotions, social emotional development on August 20, 2015 by Jamie Webb. I am an infant/toddler coach for 4C for Children. I support caregivers by coaching to best practice and Step Up To Quality (Ohio's star rating system). I also facilitate infant/toddler workshops for 4C. I am a single mom of a 10 year old boy. In my not so spare time, I enjoy reading, camping, and seeing live bands perform.